Grilled Beef Steak Served With French Fries And Vegetables On A White Plate. Фотография, картинки, изображения и сток-фотография без роялти. Image 54696052. 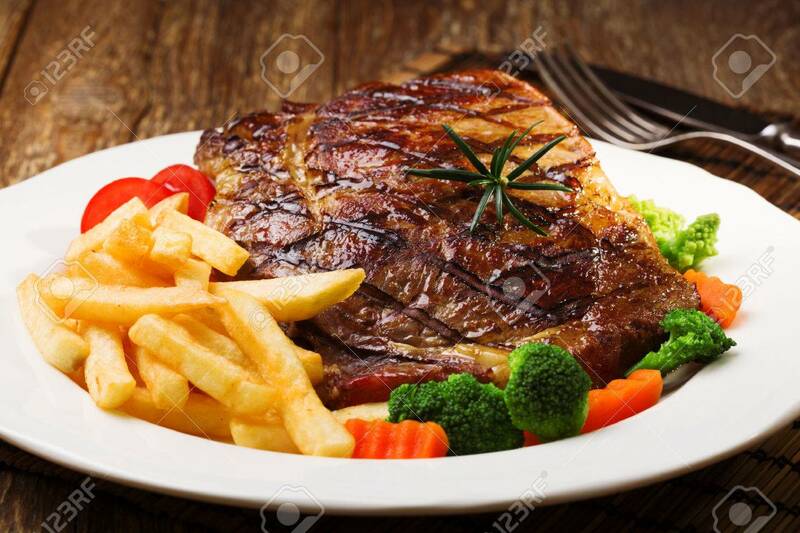 Фото со стока - Grilled beef steak served with French fries and vegetables on a white plate. Grilled beef steak served with French fries and vegetables on a white plate.